Product prices and availability are accurate as of 2019-04-19 14:10:42 UTC and are subject to change. Any price and availability information displayed on http://www.amazon.com/ at the time of purchase will apply to the purchase of this product. Your purchase is backed by 30 days money back guarantee for all items Sold By One North Beauty and Fulfilled by Amazon. No Question Asked. Purchase with peace of mind only when Add To Cart with One North Beauty. Warning: You're Going To Go Crazy For These Lipsticks With Real Flowers Inside These might be the most beautiful lipsticks you've seen in your life. 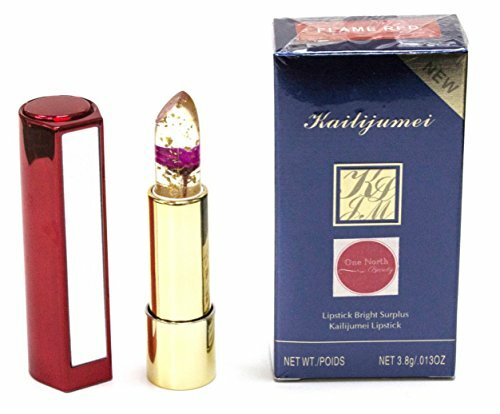 Kailijumei jelly lipsticks are world's first lipstick which is uniquely design with gold flakes and real flowers inside. 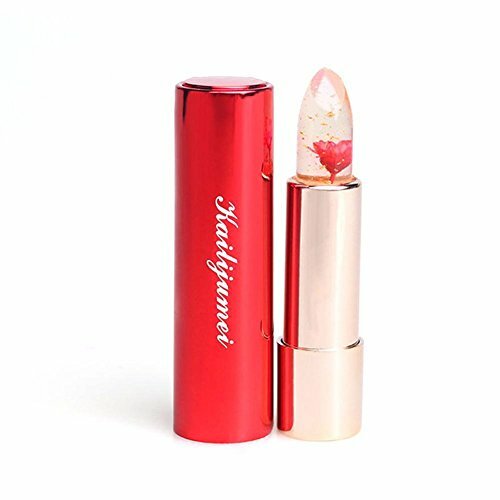 When applied to the lips, Kailijumei lipsticks give you a light pink tint that changes colors depending on your temperature and body PH. Kailijumei lipsticks not only add nourishing color to your lips, they also serve as lip balms and provide hydration. Kailijumei lipsticks moist your lips, prevent chapped lips with long lasting color to your lips. 1. Uniquely Gorgeous: Clear, gold-flaked jelly lipsticks, each one featuring a tiny dried flower inside. 2. 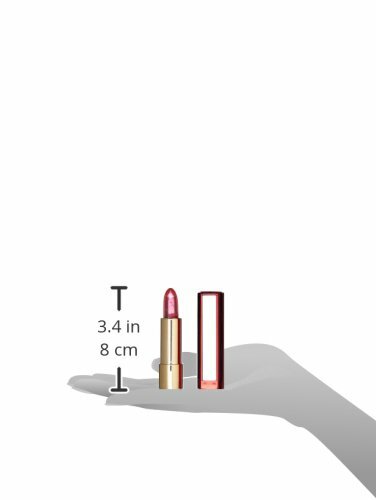 Once it is applied to lips, the clear jelly lipstick transforms into a lovely transparent pink gloss. 3. The color may change depending on your body temperature, staying lighter if you are cool, and deeper if you are warm. 4. 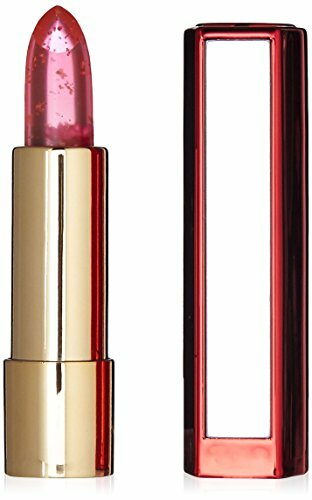 Each lipstick has a pleasant fruity scent and is housed in a deluxe signature red metallic tube with mirror on one side 5. 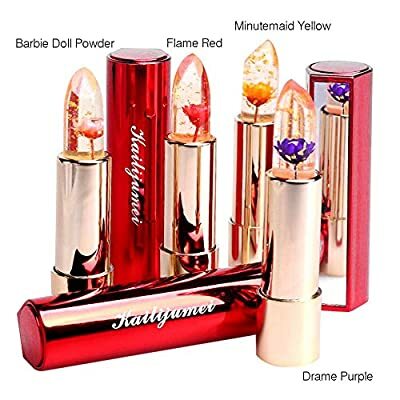 Ingredients: Candelila Resin, Cocoa Butter, Plant Extract, Stearic Alcohol (HALAL), Olive oil, Citric Acid, Grape Seed Oil, Lavender oil (4 Kind of Dried Flowers - NON Poisonous).ALL OUR KAILIJUMEI LIPSTICKS ARE MADE CRUELTY- FREE (NOT TESTED ON ANIMALS 100%).